Robinsons Selections McKinley Hill Grand Canal Mall officially opened to shoppers last November 27, 2015. 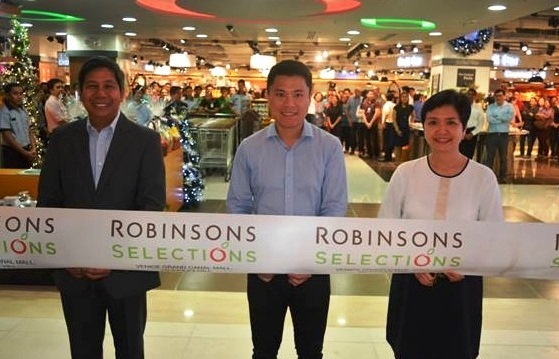 This is the second and biggest Robinsons Selections opened by the grocery-chain giant Robinsons Supermarket located within The Venice, McKinley Hills, BGC. 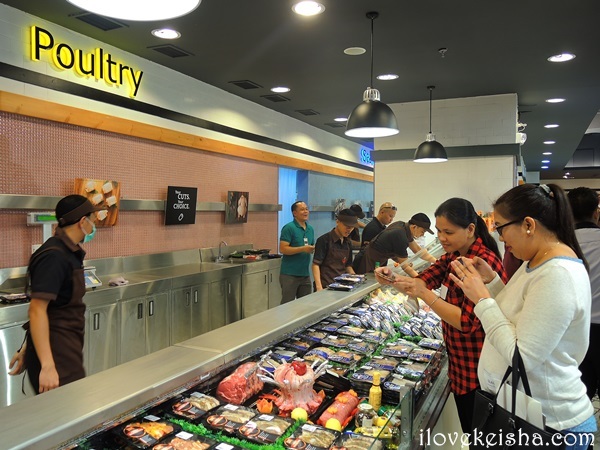 The ceremony began with the usual ribbon cutting to mark the official launch of the new premium grocery store led by Robinson Supermarket President & COO Robina Gokongwei-Pe, General Manager Jody Gadia, Megaworld First Vice President and Commercial Division Head Kevin Tan and Mayor Lani Cayetano. Robinsons Selections brings the same state-of-the art design and top-of-the line offerings as its predecessor to the McKinley Hill community. With a larger area of 2,481 square meters, the new store will feature a bigger-to-go section with carefully curated gourmet goods for those with discerning palates. 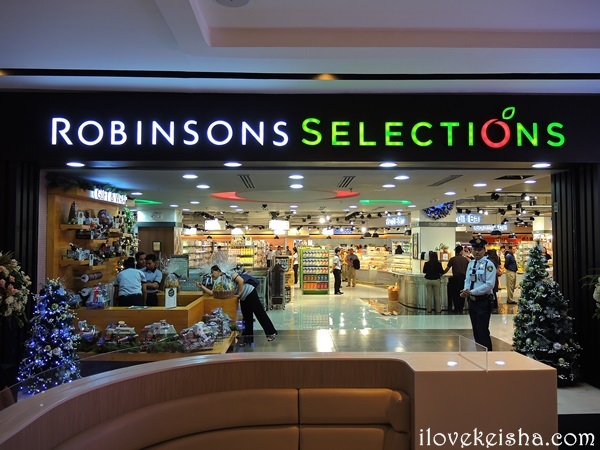 Robinsons Selections is not your regular supermarket, it offers a wider assortment of imported products and new sections in keeping with the commitment to bring fresh and healthy food. 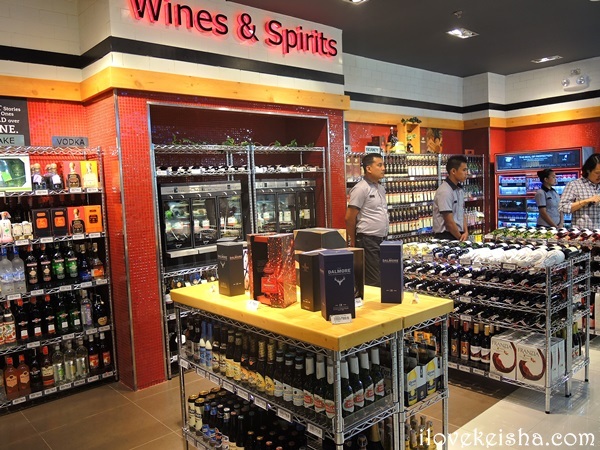 The store is noticeably clean and has a hygienic ambiance. I was one of the people who were fortunate enough to explore and get first dibs of the products they offer. The store is clean and well organized. 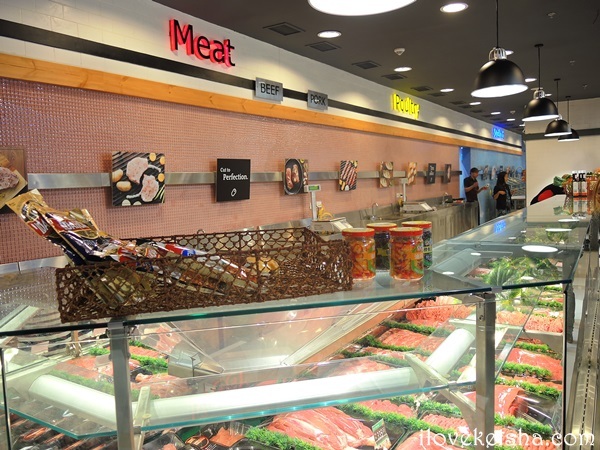 Moreover, it boasts its new and unique Sushi, Salad and Fruit bar sections. Check these sections, you won’t regret it. 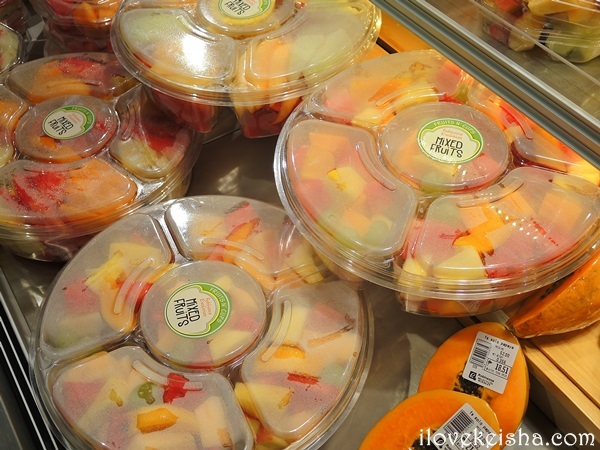 This section offers a variety of finest top quality fresh fruits and pre-packed fruit salads at affordable prices. Also, this section has bottled juices and sliced fruits in cups. Fresh mixed fruits in a platter perfect for parties or when you have gathering with your relatives and friends. 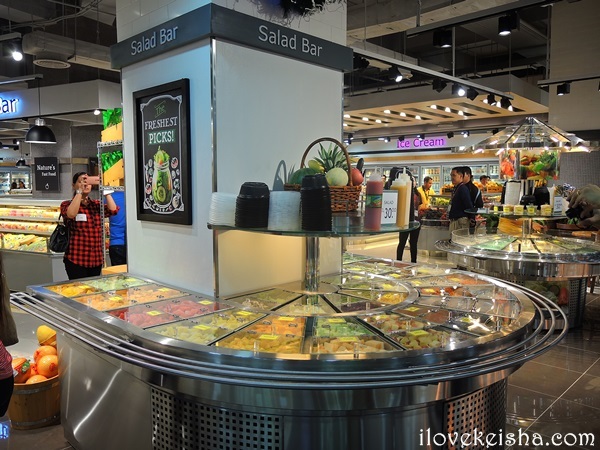 This section allows the customers to make their own salad according to their preferred ingredients. I love that the Salad Bar is so neat and clean. 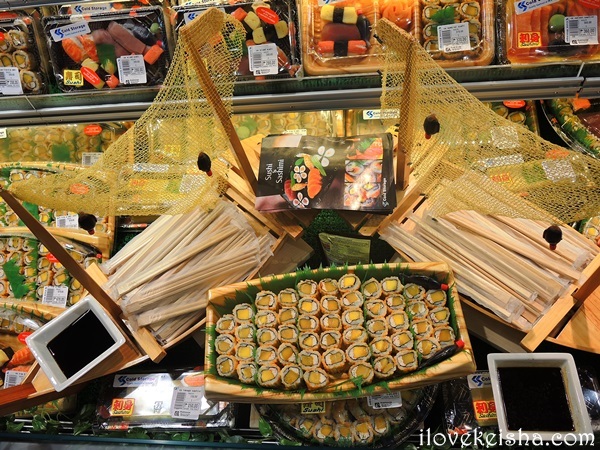 For Japanese food lover, this section is definitely what you’ve been waiting for the longest. 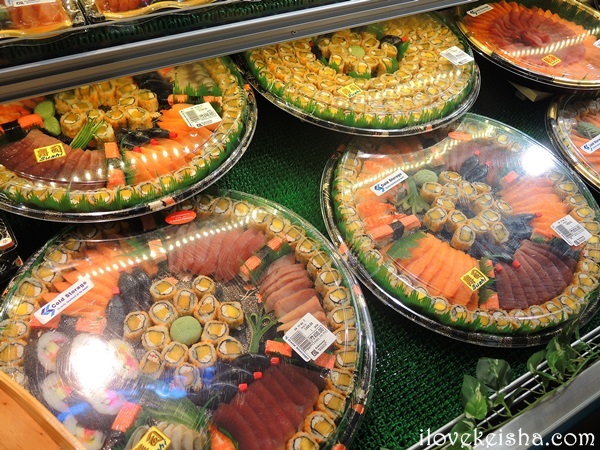 They have Japanese platter to go anytime you wish to have it. 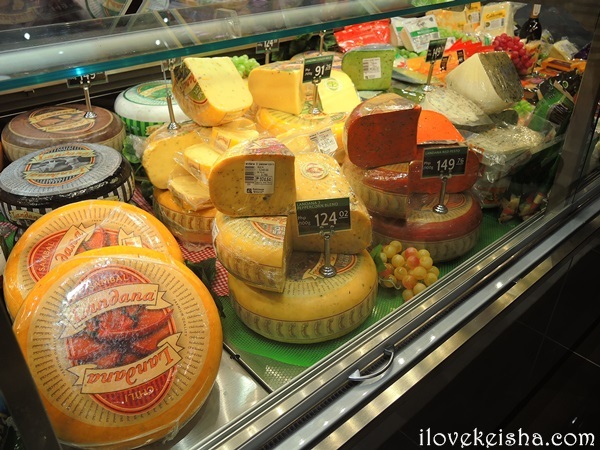 You’ll go crazy with the variety of local and imported cheeses. You wouldn’t see this huge selection in any other supermarkets. 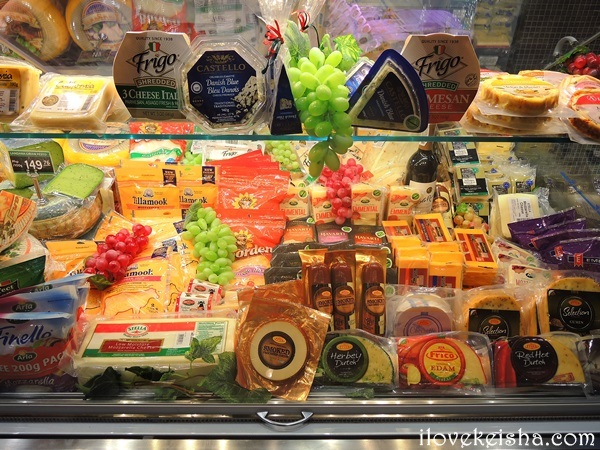 This reminded me of the cheese station of a famous hotel in Manila. This is by far the only Robinsons store I visited with a separate Men’s Zone rack. Travel Hub is such a great help to those who love to travel. Now, you no longer have to transfer your favorite products to smaller containers since the products are sold in travel sizes already. 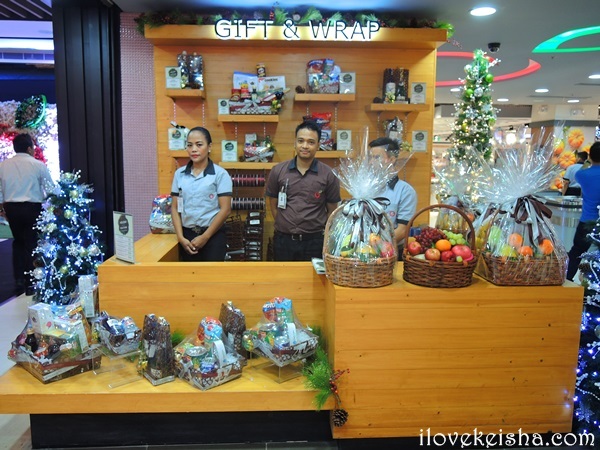 All in all, I had a one of a kind shopping experience at Robinsons Selections. This is definitely a great addition to the supermarket line-up of Robinsons. 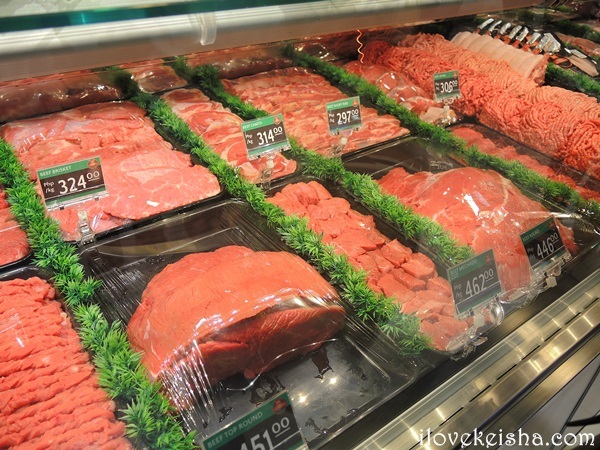 With the wide selection of the products they offer, I’m sure shoppers will keep coming back to frequent this place. To those living in far areas like me, the trip to BGC to do your grocery shopping here is definitely worth it. 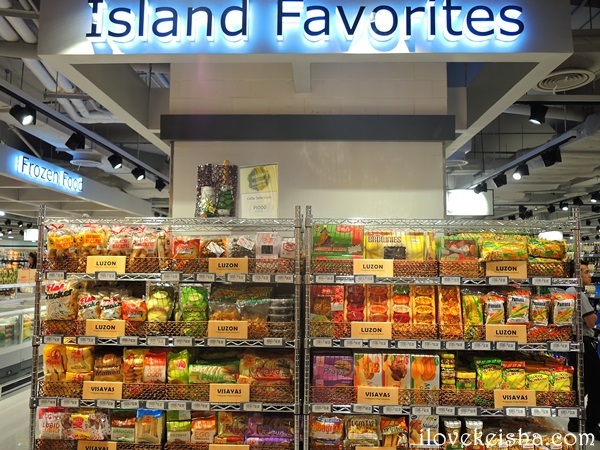 I highly recommend this supermarket for everyone most especially to those who live near Bonifacio Global City. For more information and updates, visit Robinsons Supermarket website at http://www.robinsons-supermarket.com.ph and like their Facebook page facebook.com/RobinsonsSelections. 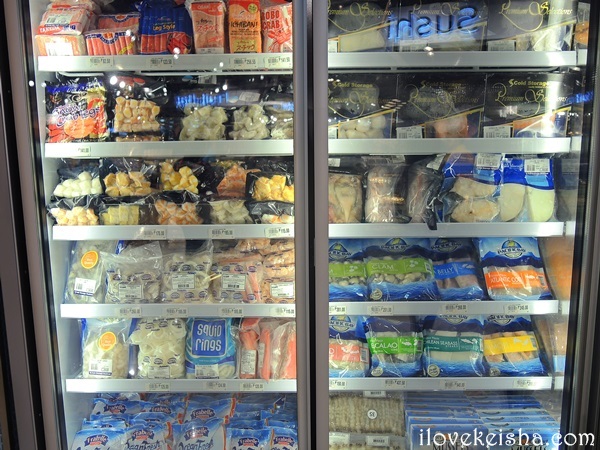 I love the emphasis on fresh food, and that it’s prepared and ready to go! It looks absolutely delicious, I’d love to shop there! I’ve never heard of the store. We must not have it around here. Looks like it has a lot of great choices and most of them are healthy I like that. I’m trying to eat better this year and this store probably keep me on track. I have to see if we have this in our area. There’s such an awesome selection there. How exciting! I’d be visiting this store every week. Their fresh food looks great. Oh man, a cheese bar. I would have to sample a few and then take almost everything home. Salmon, too. 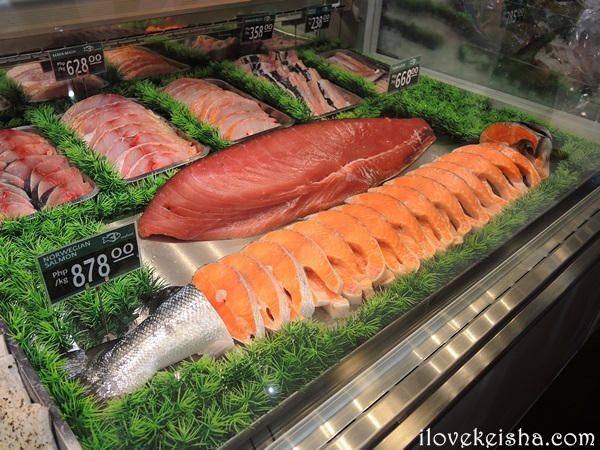 I love salmon, it is my favorite fish. What an amazing store! 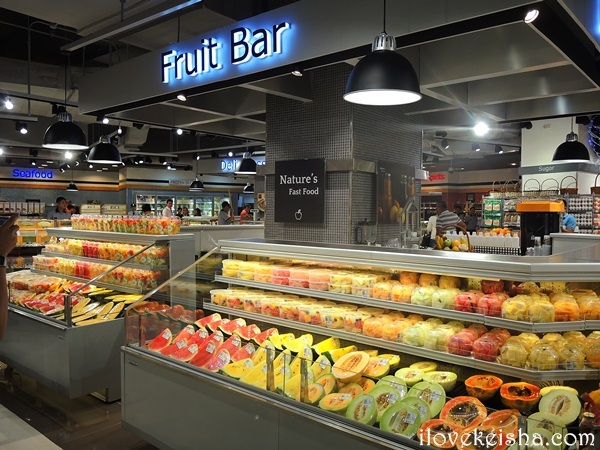 That fruit bar alone would make me shop there!! The store looks big. I love shopping at Robinson’s stores. They always have the freshest produce. I love how clean and tidy the store looks! It looks like no other store I have shopped in! Love shopping at Robinson’s and that one looks huge. The one that we have in my hometown is a lot smaller, I guess. 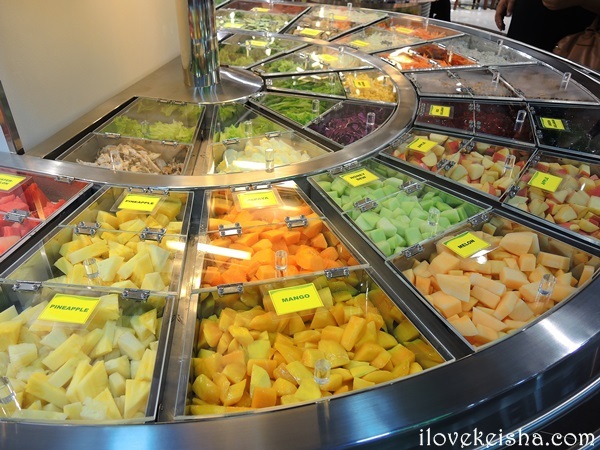 I think I’d be a frequent customer at the fruit bar. 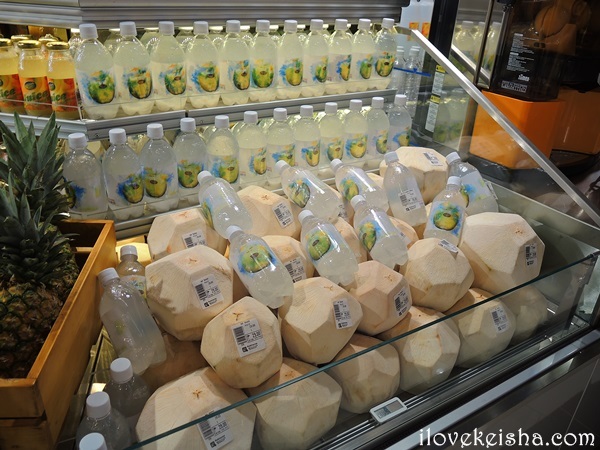 The young coconut or buko is what I am missing so bad. The salad bar sold me on that store. Seriously. I need one near me, I’d eat there on the daily. I’ve never even heard of Robinson’s…we obviously don’t have one where I live. It looks so fresh and clean there! Aaaahh I just fell in love with the fruit bar! Everything looks so neat and organized. Jeepers creepers! That fruit bar is insane! 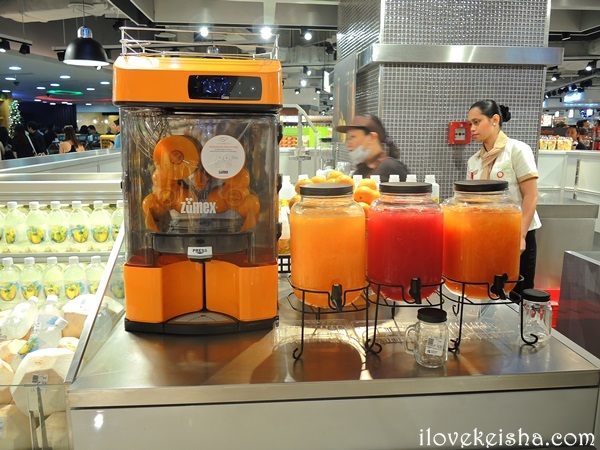 And the fresh juices … I think I’m in love. I will be seeking this out if I ever travel your way! O-M-G. I totally love that store! I really wish they had one like that in our state. I would shop there everyday. Omg this place looks awesome!!! They so need one here in NY. That’s store has everything! Wow can you say fresh! I will have to as my cousin if she has gone here. It looks so amazingly fresh and clean, I wish I could shop there for a fresh lunch. That’s an amazing selection of everything! I especially love all the different fruits – it makes it really easy to eat healthy. 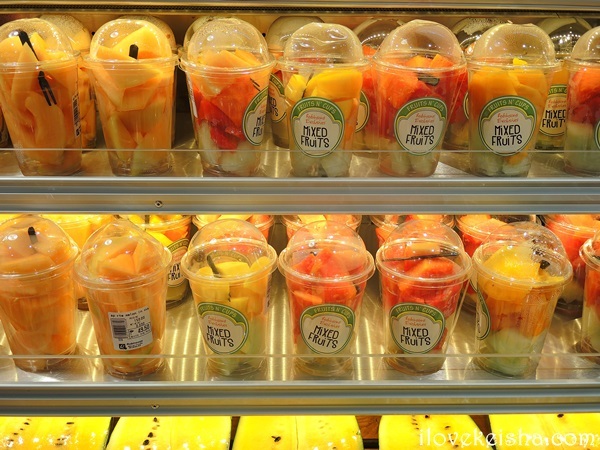 I love the selection of fruit and fruit juices. That would be a delicious place to visit. Wish this was closer! Its looks awesome, we need one in NC.